What if we saw holiness as being about true connection, rather than outward perfection? Holy: In Middle English, from Old English hālig; akin to Old English hāl, whole. If it weren’t for all the fluorescent trainers, patterned running pants and fitness apps on my phone, I’d think I was unfit. These are clearly markers of my physical health – therefore, I’m doing well. I don’t know about you, but I often live in an envy/failure/guilt/repeat cycle. I see someone with a figure I want, strength I want, ability I want (usually on social media). I try to achieve this, fail spectacularly, feel horrifically useless as a human being, before even broaching the negative emotions toward my body that got me in this place. Then I start all over again, as I see another stunning figure I want. Sound familiar? Unfortunately, we are a culture that claims the outward body is the sum of our identity. Although as Christians it’s probably a good idea to not root our identity in anything other than being fully loved and known by Jesus, we unfortunately do it. A lot. ‘The body’ within Christianity’s history has been pulled apart so much that it’s difficult to know where we stand. Some have believed that the body and spirit are separate and see the body as a source of sin and pollution. Others have believed that the body and spirit are connected and so the body should be looked after, as it’s holy. In 2017, as Christians, we still often view the body and spirit as separate, but we often agree that should see ourselves as holy. However, often our idea of holiness is not really the holiness portrayed in the Bible, but a holiness much more like the disconnected, fragmented version we see reflected on social media. As people of faith, seeing our whole being as connected is vital. When we see our body and spirit as separate entities, we tend to only see our spirit as holy. Until we connect up our physical being and our health – physical, spiritual, emotional/mental and relational – we won’t treat ourselves as holy beings. Holiness of spirit and body will continue to remain separate. In Luke 10:27, Jesus recounts the greatest command as: “Love the Lord your God with all your heart, mind, soul and strength.” If we are to love God in this way, a connection needs to be made between all four elements: heart, mind, soul and strength; and if there isn’t a connection not only will we not love God in the way we should, we also won’t love ourselves well, or our neighbour. So here are three tips on how to move our physical bodies from merely ‘social media holy’ to a more connected ‘biblical holy..
Every time we eat, move and sleep, we have another opportunity to nourish (feed, care for, provide and maintain life) our bodies. I think most of us could take a wild stab in the dark as to which foods nourish our bodies and which don’t. Eat more of the ones which do. Pay attention to which foods give you more energy, and which merely make you sluggish, or change your mood. There are so many fad diets out there, but ultimately each body thrives differently and it’s up to us as individuals to discover which foods bring us life. Let movement nourish your body. Which exercises bring you joy, and make your body feel free and flexible? Stick to these and your body will thank you. Try to mix up cardio and strength exercises, but ultimately learn to read your body and how it feels after each session. Sleep to nourish your body. Eight hours a night is recommended, though most of us don’t get that. Some people can function on less, some on more. Again, find what’s sustainable for you and stick to it. This is my nemesis. The way we view ourselves will reflect how we view all areas of our health. Put simply, the way we view ourselves will affect our physical body, including how much or little we move, eat or exercise. Our thinking can help or hinder nourishment within our bodies. Start to ‘think lean’: it works, really. Think positive thoughts about yourself: your physical body, exercise and the food you eat. When you start to do this you will turn towards positive habits and actions that reflect this. Planning manageable steps toward your goals is the way to begin feeling less overwhelmed with life. With fitness, it may be committing to a few simple exercises or one run/walk/cycle a week. Be realistic. Maybe it’s committing to viewing exercise, food and sleep as nourishing, and letting that dictate your attitudes. 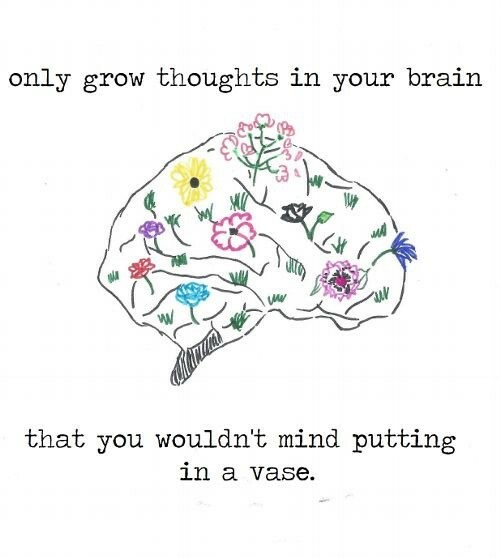 Perhaps you need to go on a mind detox and write out positive thoughts about yourself. Or maybe you need to commit to being in bed by 10pm, four nights a week. Or perhaps you simply need to sit and plan out some action steps in an area where you feel you’re lacking. However you do it, these three steps can start to reconnect our body with our mind, emotions and spirit letting them interact with one another, and helping us to feel more connected. What are your tips on moving into a more connected, truly holy life? Please let me know below! // An interview with Ben Cooley, founder of Hope for Justice. // How a play about Mormonism challenged me to have a living faith.